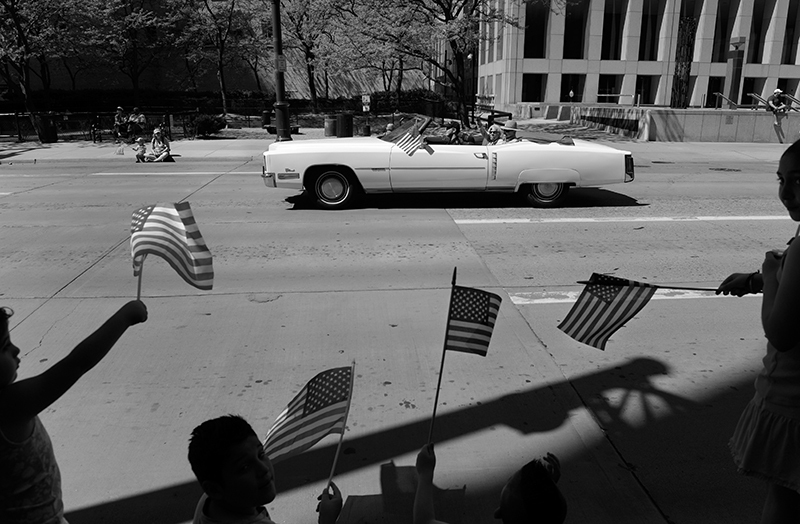 Cecil and Carl ride in a 1972 Cadillac Eldorado during the Memorial Day parade in Denver. The couple was invited to join the American Veterans for Equal Rights GLBT Color Guard, a group made of both gay veterans and gay service men and women who are active duty. Both Cecil and Carl served in the United States Air Force at a time when being gay was reason for dismissal. Cecil was a First Lieutenant in the Air Police, and Carl was an Airman First Class and a nuclear weapons instructor. "You just didn't do [or say] anything," Cecil said. "What's worse than being kicked out of the military would be going home and telling your family why... we just didn't talk about it."